There’s nothing quite as fascinating as an estuary. The transition between river and sea, subject to the moody tides of the salty ocean and the constant fresh water flow and sediment of the river – a combination that amounts to a nutrient-rich plant and animal magnet, a natural food court for the most cosmopolitan crowd. 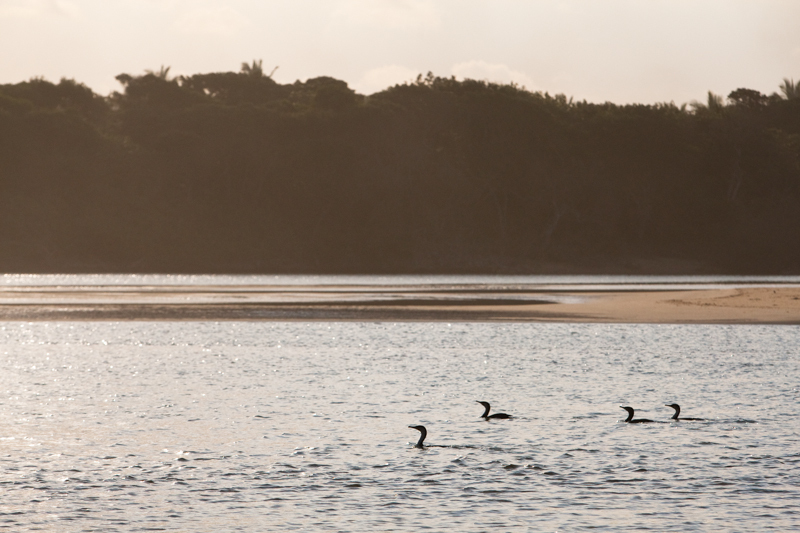 Kosi Bay’s series of four interlinked lakes in Maputaland’s iSimangaliso Wetland Park drains via one such estuary into the Indian Ocean: Kosi Mouth, a mangrove-mottled, birding, fishing, and diving mecca – in short, paradise. The Tsonga people, who have inhabited the region for centuries upon centuries, do nothing to detract from the local flavour of the area. 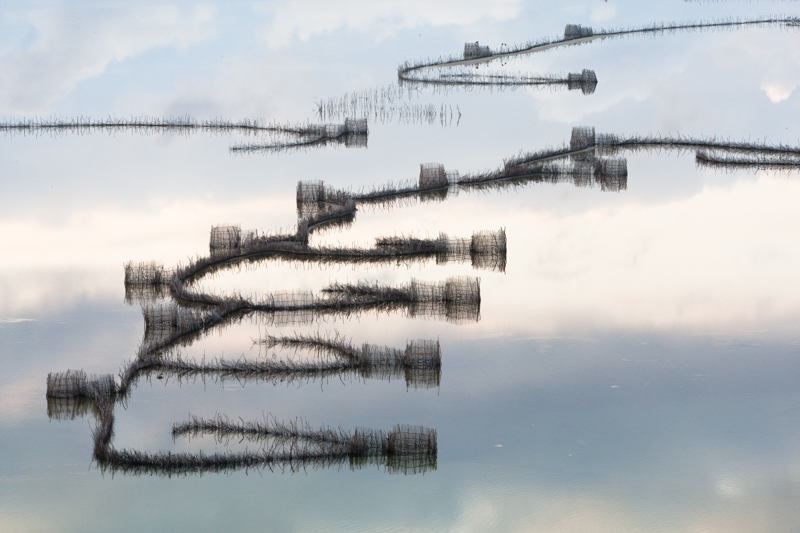 In fact, the ancient fish-traps they depend on for their livelihood have become as much a part of the landscape as the shifting sand banks of the estuary itself, and very few visitors leave without a photograph of their serene, spiralling skeletons reflecting in the water. 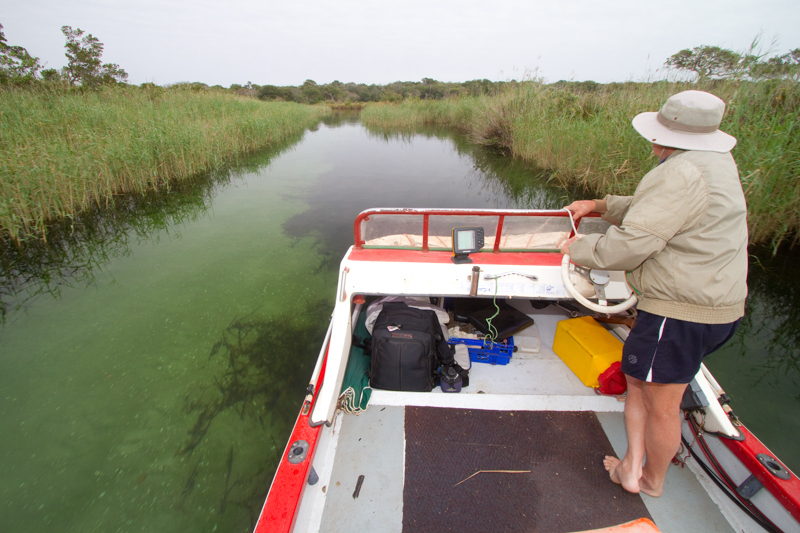 Dubbed ‘the aquarium’ by locals because of the clarity of the water and the abundance of fish species, those with boats who choose to explore the waters of the estuary and all the way down through the channels that link all four lakes will tell you the waters throughout are as clear and colourful as those of Botswana’s Okavango Delta. Without a boat, the shores of all but the largest of the four lakes are difficult to explore, but the coast running parallel is a wonder that many find themselves drawn back to time and time again. Fishermen don’t need a second invite to cast a line into the bustling salt-waters, and with rare species like Pel’s fishing owls, palm-nut vultures, and white-backed night herons, it’s no wonder birders flock to the region as well. Many come for the annual loggerhead and leatherback turtle breeding season (November to February), when bales of large leathery females haul themselves up the beach to lay their eggs, or weeks later when those eggs are torn open and their tiny occupants squirm their way out and scurry down the shore to the relative safety of the ocean. Others come for the pristine coral reefs off the unspoilt and uncluttered beaches that kiss the warm Indian Ocean. For everyone, there’s the adventure of driving the ever-changing sandy road network up the coast, skirting the odd, unexpected, thriving community between the trees of the dripping coastal forests of the protected wetland park, and the thrill camping near enough to the coast to spot a pod of migrating whales. 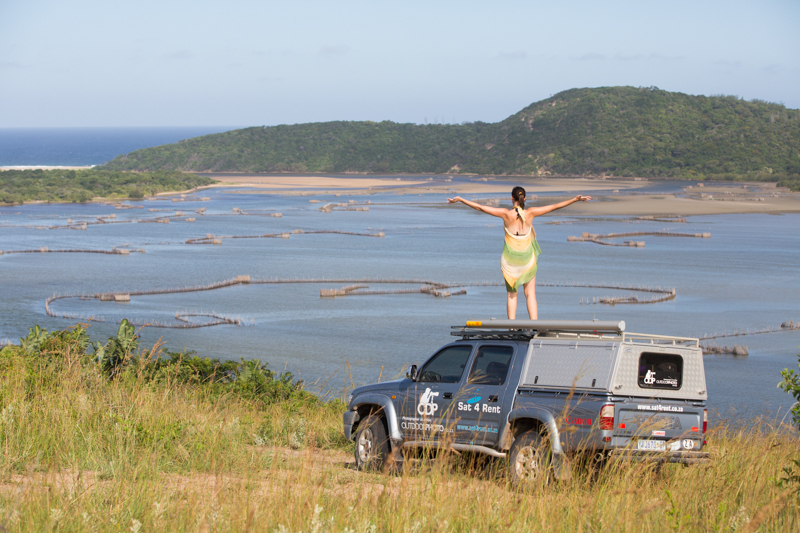 It’s a special part of the world, Kosi Bay, with its abundant diversity, untouched stretches of wilderness, and scattered cultural villages, and all the more special knowing it’s just one of so many we as South Africans can proudly call our own. 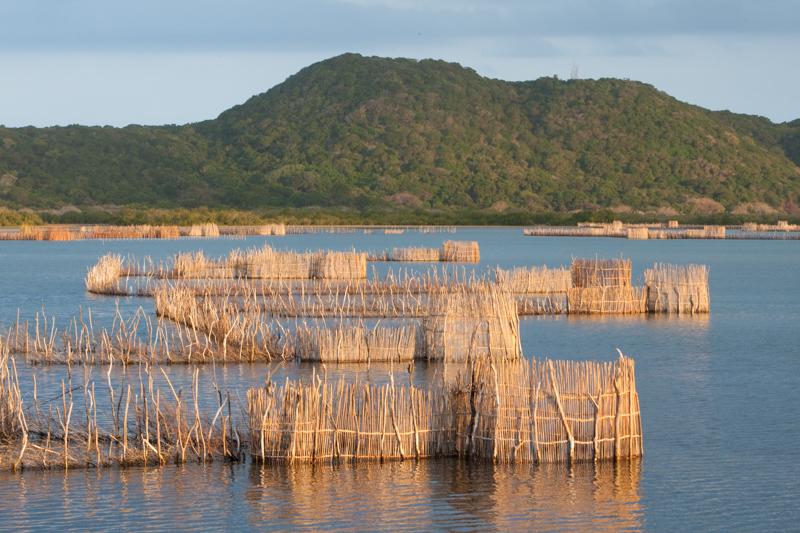 The Tsonga fish traps at Kosi Mouth make for incredible photographs, especially first thing in the morning just before sunrise when the water surface has a stunning silver reflection. The light in the afternoon is not bad either, when the front light paints a more colourful picture. Drive 500 metres past the Kosi Mouth entrance gate and then turn right on a very sandy track. 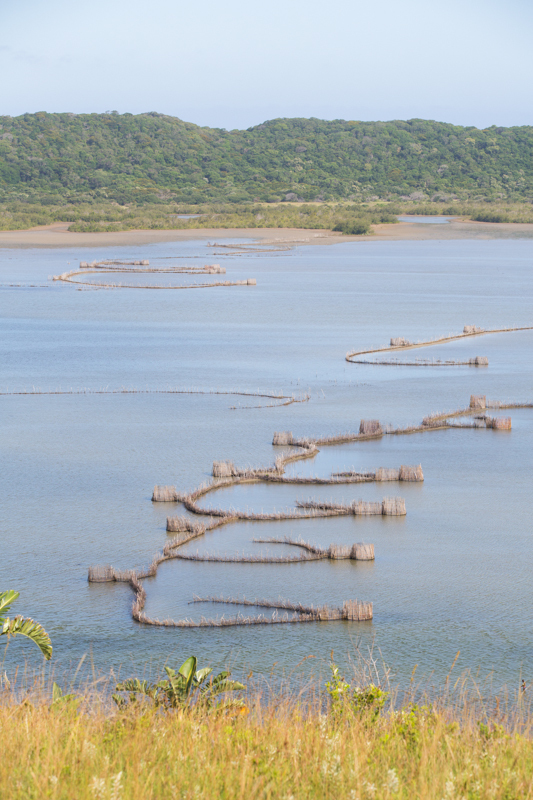 This will lead you to one of the best viewpoints over the fish traps. From here you’ll need something like a 70-200 mm or 75-300 mm lens to best capture the scene. 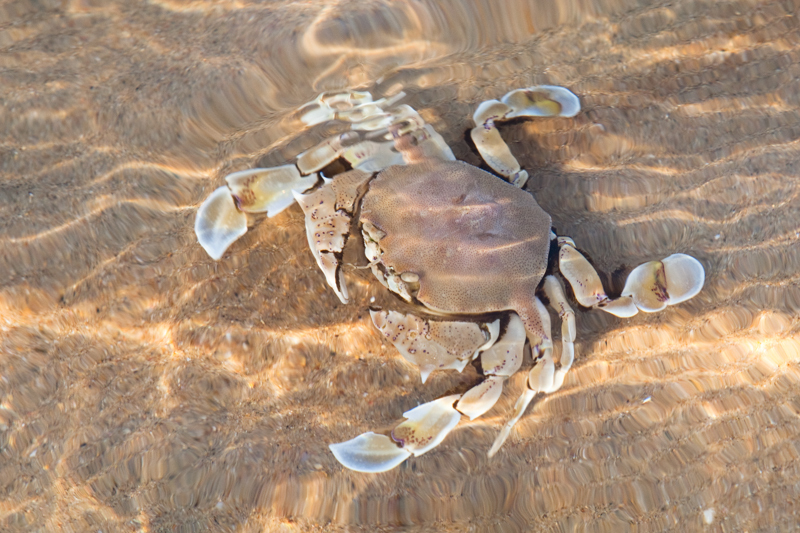 Kosi Bay is located at the north-eastern tip of KwaZulu-Natal, right on the Mozambican border. From Durban, drive north on the N2 highway until you get the R22 turn-off for Hluhluwe. 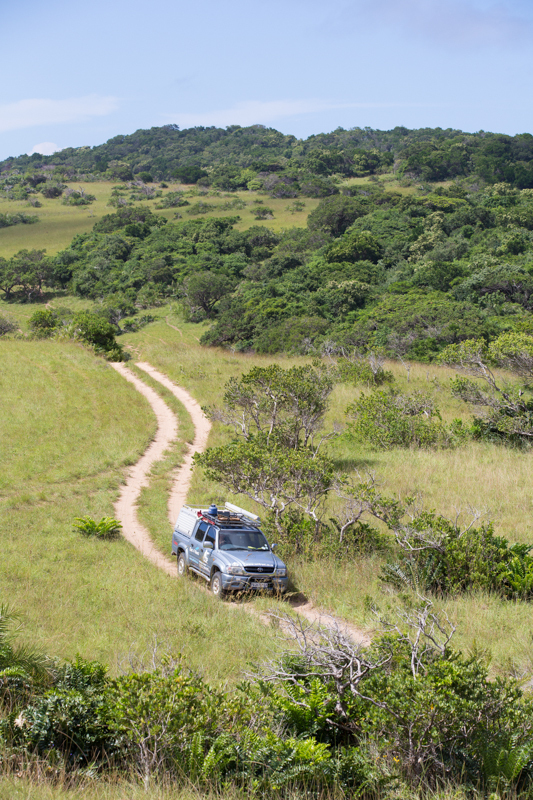 Follow the R22 all the way, past Manguzi, to Kosi Bay. Where? 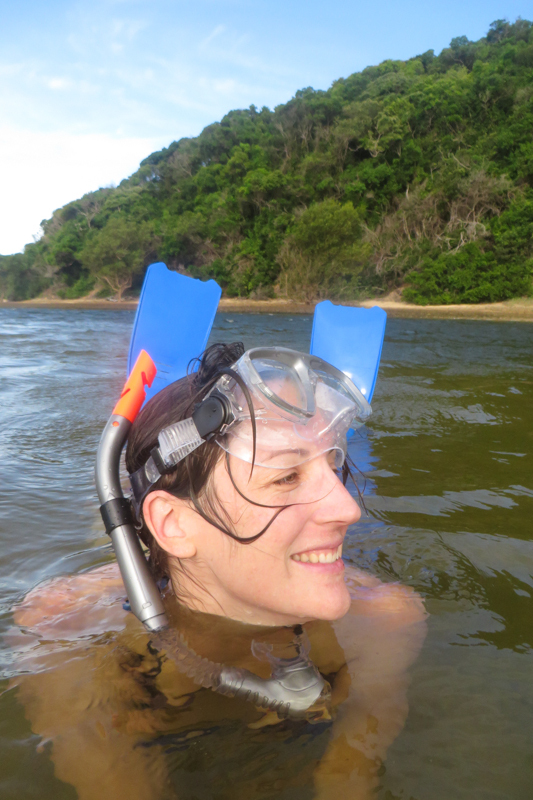 On the edge of Kosi Bay’s largest lake, kuNhlange, just south of the Mozambican border. Drive exactly 5.5 km past the Spar in Manguzi and then turn right at the Kosi Bay sign. From here it’s another 6-odd kilometres on a very bumpy road before you reach the campsite. Facilities: 18 stands of varying sizes all have shade, power (remember your blue caravan plug-adapter), braai facilities, a light, dustbin and tap. There are two neat ablution blocks with flush toilets and hot showers. Bring your own basin, because there’s no place to wash dishes or clothes. Road conditions: The sandy two-tracks running parallel to the coast are some of the most beautiful you’ll ever see, but can become very thick in certain patches, especially when it’s hot and dry. Low range is not a necessity, but 4×4 certainly is. Send a detailed itinerary to a friend or family member, because if you get stranded here outside school holidays, it may take more than a day before somebody finds you. Safety: Isolated incidents in the not-so-recent past have made authorities understandably cautious, and as a result you’ll see warnings on pamphlets urging visitors to keep valuables safely hidden at all times. However, we felt very safe in the campsites and on the road, even in the most remote areas. Fuel and ATMs: Fill up in Manguzi. You’ll also find an ATM here. Navigation: If you plan to drive the sandy two-tracks along the coast south of Kosi Bay, make sure you have Tracks4Africa installed on your GPS. Without it, you will get lost. Malaria: This is malaria area, so make sure to use prophylactics, especially between November and March. 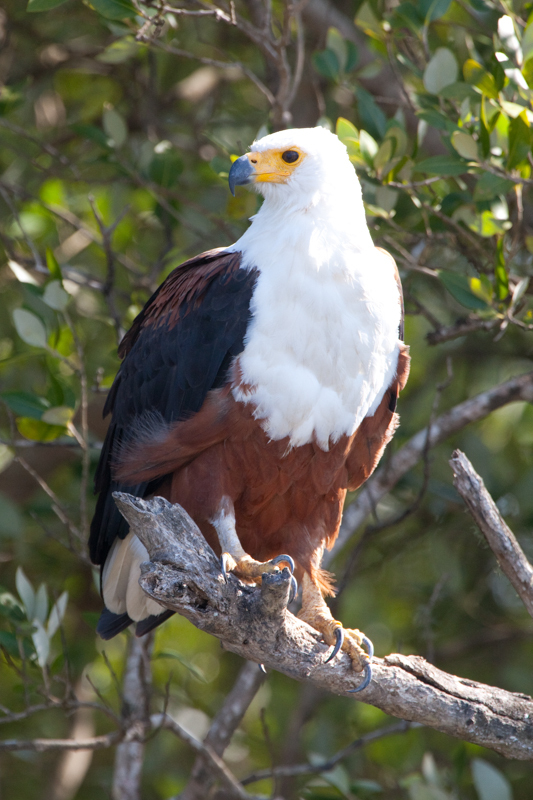 Park entry fees: There’s a one-time entry fee of R20 per adult, R10 per child and R15 per vehicle to enter Kosi Bay and the adjoining Coastal Forest Reserve. Permits: The offices at Manzengwenya and Kosi Bay issue a limited number of permits for certain points of interest each day, including Black Rock (12 cars) and Kosi Mouth (16 cars), so make sure you get to the office early during school holidays.